The latest Baltic Run is over, so it’s time to look back at the highlights! After a terrific 9 days, travelling over 2600km all the way from Krakow to Tallinn, the latest Baltic Run is over for another year. 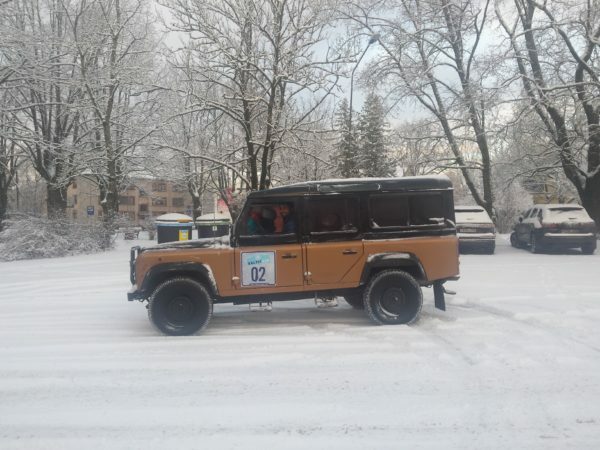 The teams — “Wildsome Volvo”, “Hakuna Matatu”, “Barfeeli”, “Deepzone”, “21”, and “The Road Blockers” — came from all over the world to enjoy the winter wonderland of the Baltics. And they weren’t disappointed: here’s what we learned on the latest Baltic Run! The minimal assistance rally started off without snow, but that soon changed. 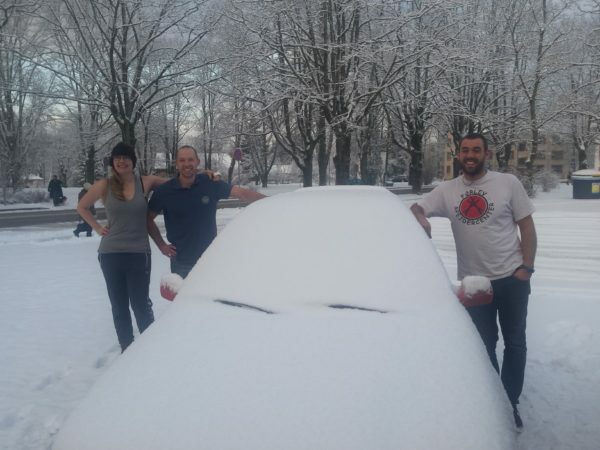 Within a few days the coldest winter in years had arrived in Eastern Europe, which meant plenty chances to test the participant’s winter driving skills! Sure, it meant taking the driving slow, but who wants to speed past the stunning scenery? While it was a hazard on the roads, participants got to see beautiful frozen lakes, if (like pictured above) they were brave enough to face to cold! When even water bottles are freezing, you know it’s cold. But the Danish team didn’t feel the cold! 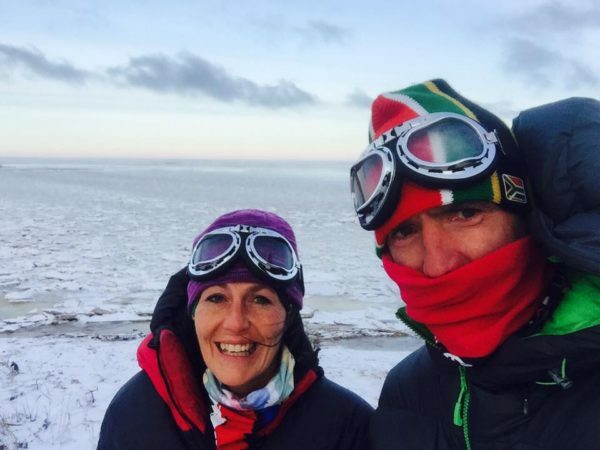 Unbelievably, even while spending most of the week in temperatures below -10°C, some hardy Baltic Run participants (pictured above) claimed to not even need a jumper! 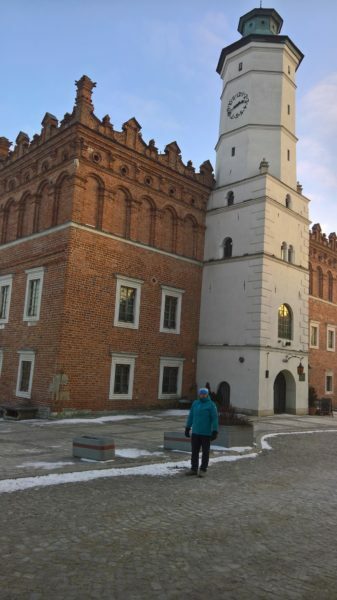 However, trying to escape the cold has its dangers… when another team, “Barfeeli”, attempted to warm up by visiting a spa in Lithuania, they couldn’t understand why the lady at the reception, who spoke no English, seemed so surprised to see tourists. They soon understood: on arrival they encountered a thermal bath absolutely packed with naked Lithuanians. 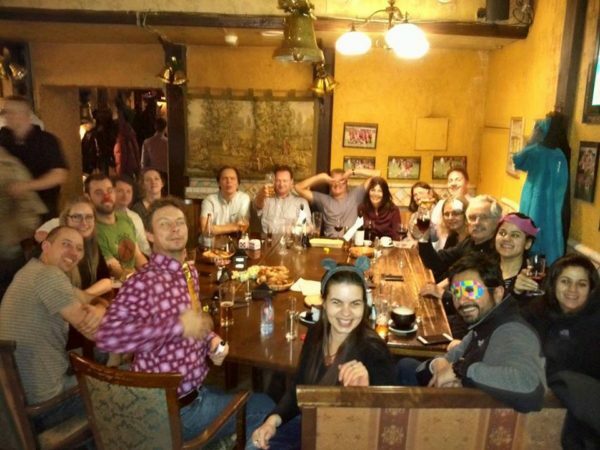 Was arriving in the spa town of Druskininkai on “naked Friday”, celebrated monthly, was lucky or unfortunate? It’s up to you! Chewing Gum can Fix Anything! Maybe it didn’t feel like much fun at the time, but one team turned their misfortune into a classic Baltic Run moment. Losing power to their headlights not far from Riga, they couldn’t see a thing, and (worse) others couldn’t see them. 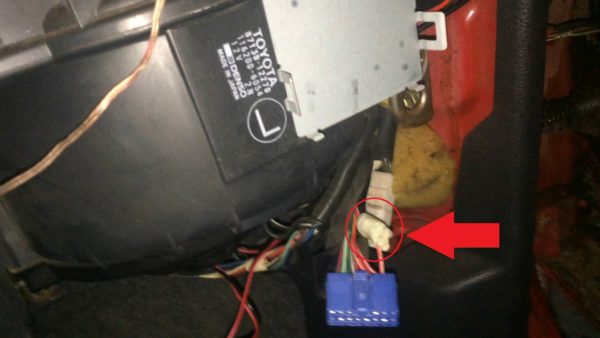 Realising that the problem was down to a broken wire, they fixed it in the only way they could: with chewing gum! This is the kind of ingenious thinking on the go that we love to see from Travel Scientists adventurers.. 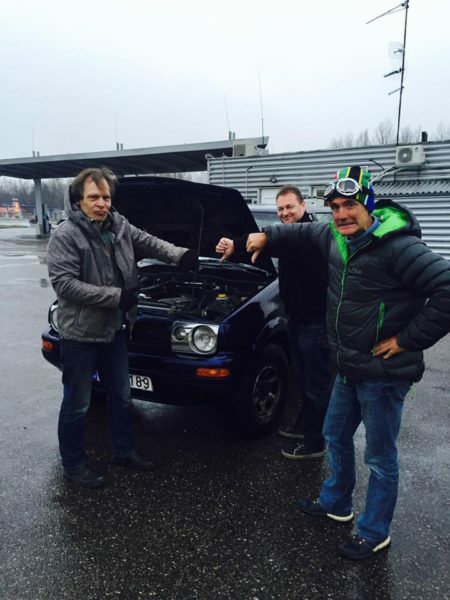 The latest Baltic Run wasn’t just driving in the snow. 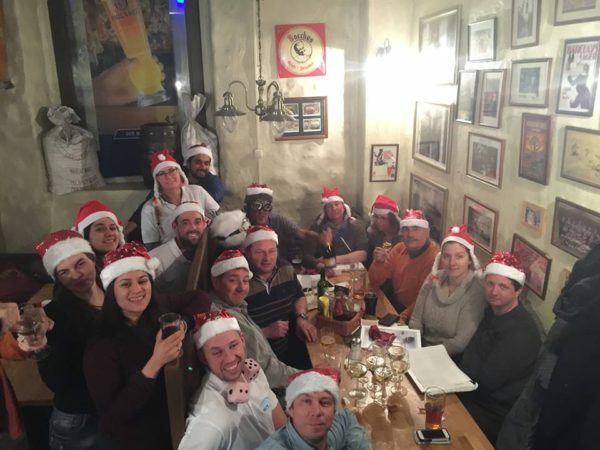 The trip gave everyone a chance to see some of the most interesting sights of the region, from Hitler’s Eastern headquarters (the “Wolf’s Lair) to Soviet Nuclear bunkers, and participants even spent ninety minutes held captive in a former prison. The teams saw more statues of famous dictators than you might expect in a region so devastated by such regimes over the last century, but at least they learned a lot! 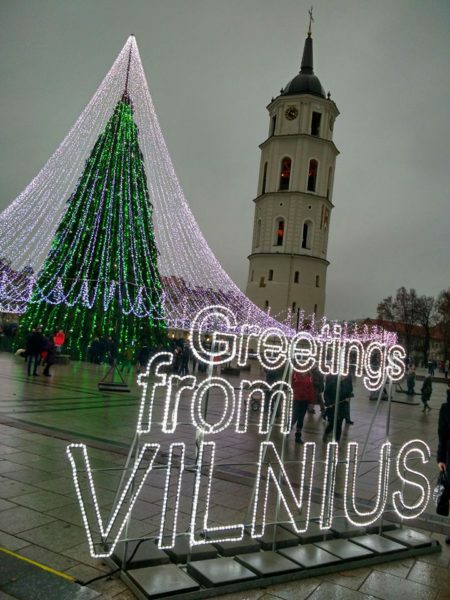 Of course, a highlight of the latest Baltic Run has to be New Year’s Eve, with the teams celebrating in the very much underrated Lithuanian capital city of Vilnius. Decorated beautifully with Christmas lights, the town centre was the venue for an impressive fireworks display. The night was enjoyed by everyone, though maybe not quite so much the next morning! Even in a nuclear bunker! Yes, while the locals love their vodka, taking shots while visiting a nuclear bunker may seem a tad extreme even to those well used to drinking merrily every night of an adventure rally. 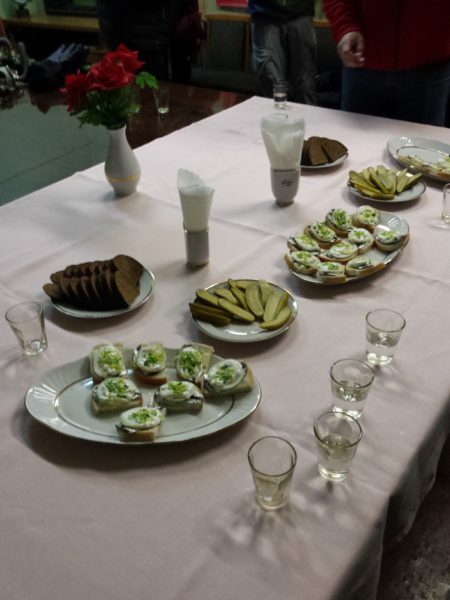 However, pictured we see a traditional Baltic spread: rye bread, pickles, and (obviously) vodka. Thinking about it, if you were stuck down a bunker in the event of a nuclear war… what else would there be to do?! A true sign of dedication to the rally came from “The Road Blockers”. They had missed the first day due to a breakdown, eventually having to a hire another car for the trip. 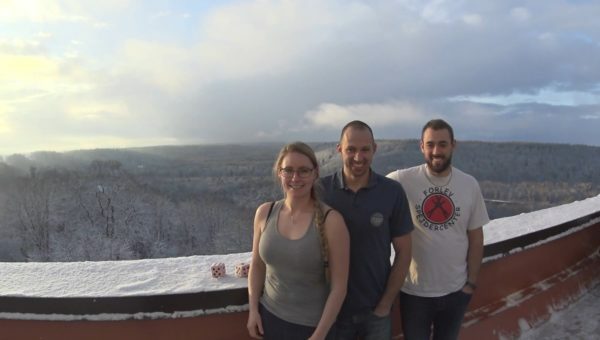 However, once the rally was over and everyone was on their way home, Annie and Simon made sure to visit the sights they had missed out on during Day 1. Proper dedication to the Baltic Run! The official Baltic Run was won by German team Oachkatzl, presented with a remote-control car. 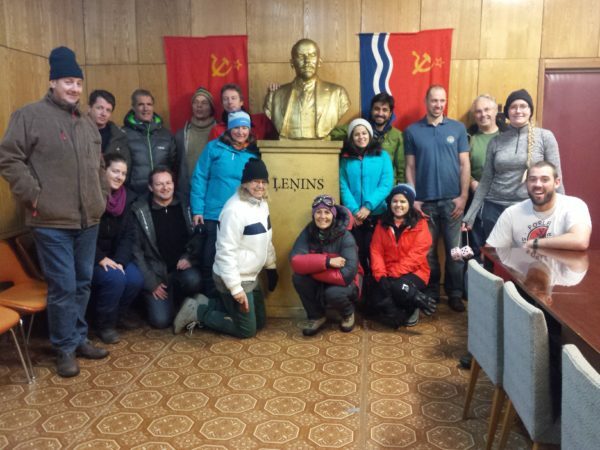 With their accumulation of points for tasks set during the entire trip, they were well-deserved winners. And teams Barfeeli, Wildsome Volvo and Hakuna Matatu can all be proud of their prizes in the photo competition. However, the most important thing is that everyone had a great time, and will share memories of the event long into the future. And who knows, maybe they’ll all unite again on a Travel Scientists adventure sometime! Next postMeet Team Oachkatzl, This Year’s Baltic Run Winners!